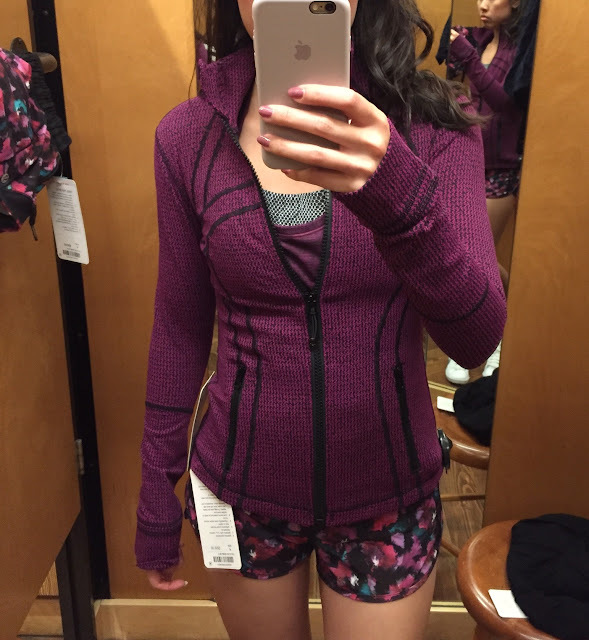 Petite Impact: Guest Reader Photos- Define Jacket in Teeny Tooth Deep Fuchsia! 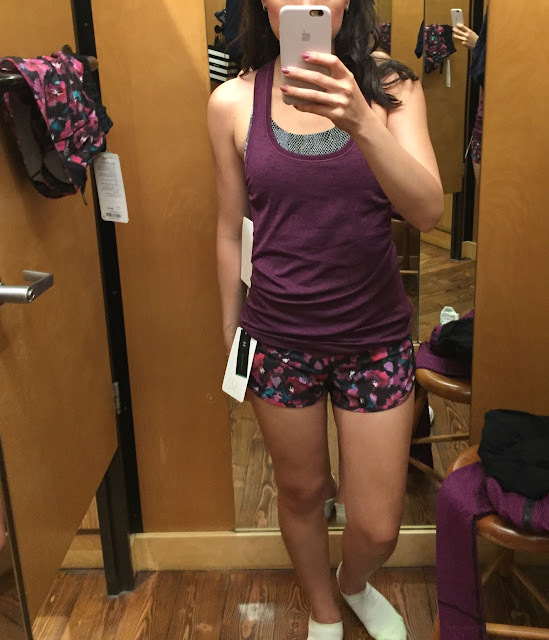 Guest Reader Photos- Define Jacket in Teeny Tooth Deep Fuchsia! This is an OMG I must have item for me! I'm actually heading to a store later and I'm hoping I will see this gorgeous Define Jacket for myself. These photos were sent to me from one of my readers. She says, "The fabric is better than the herringbone Define Jackets from last year even though it's the same material. It definitely feels different,"
I think it looks absolutely gorgeous on her! I don't know about you guys but I'm super excited. Thanks Jen for the photos! 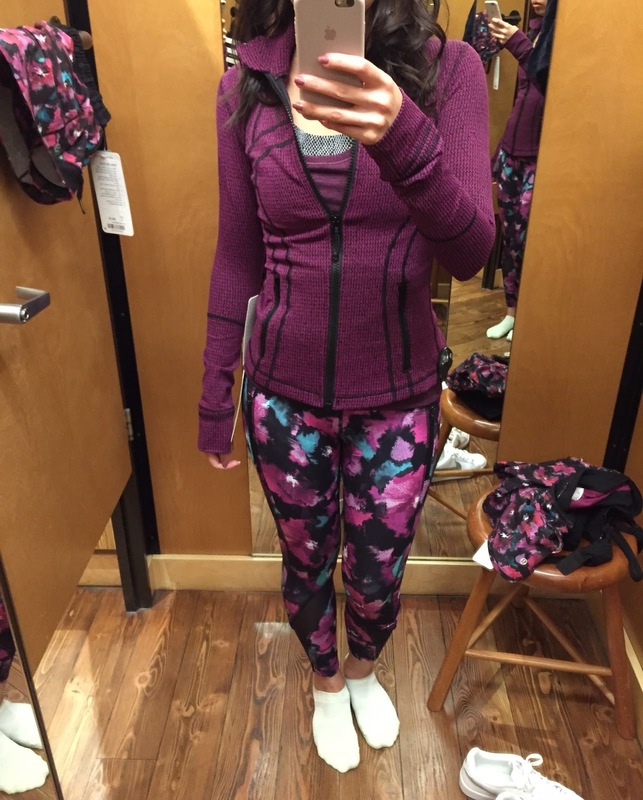 And in case you're all curious, she did purchase the Define Jacket and the Speed Shorts. Ha! I actually LIKE the contrast stitching on this Define. Normally I don't like it on any Lululemon stuff but the contrast actually appeals to me! I got a Glyder "CRB" that looks exactly like the Chilled Grape Swift tank at Marshalls for $19.99. I've been looking elsewhere since the CRB change. Very nice! I'll have to check the Marshalls near me and see if they have anything good.